WOW, what a difference just two and a half days make!! We are now on day three of our final adoption fundraiser. Our Prize Giveaway and Name Reveal drive is moving along quite nicely. 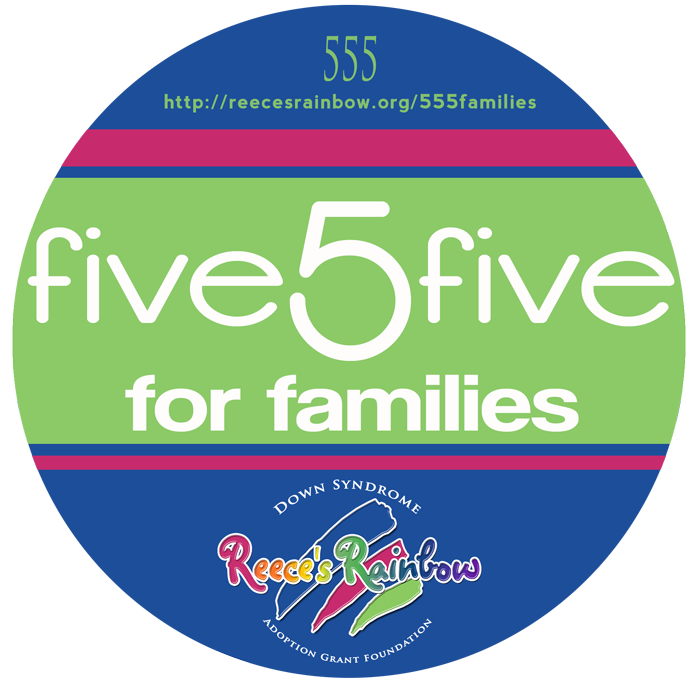 We started with $2918.59 already in our Reece's Rainbow Family Sponsorship Page (FSP) adoption grant fund and now it has grown to $3427.84!!!!!!! 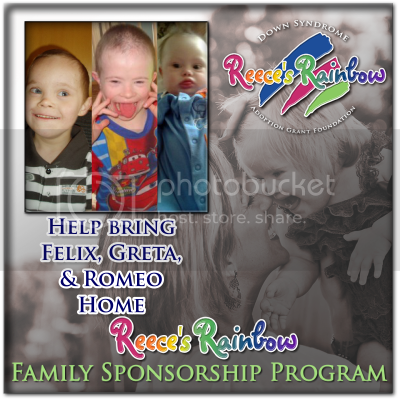 That is $509.25 generously donated to our adoption grant fund in order to bring Greta, Felix, & Romeo home!!! 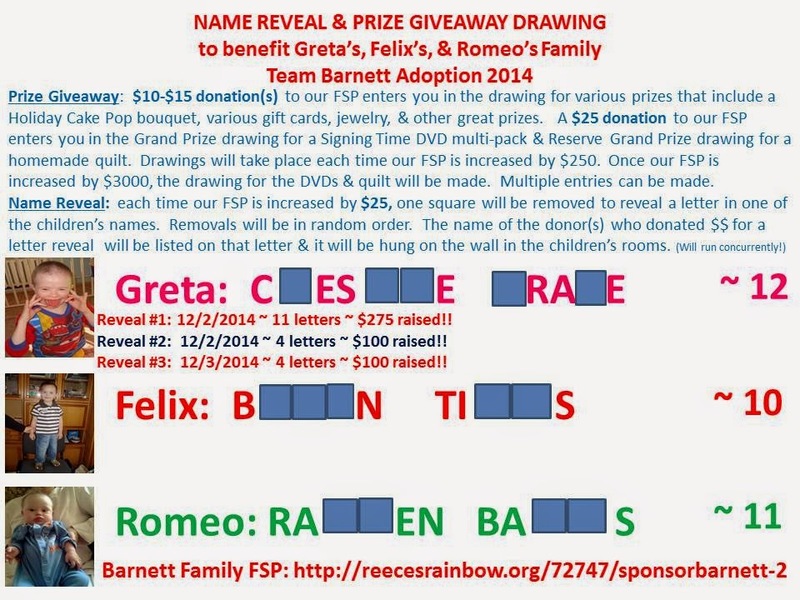 As a result of this amazing outpouring of love from our many donors, NINETEEN letters have been revealed in Greta's, Felix's, and Romeo's names! I imagine that by now at least two names among their first and middle names can be guessed correctly...but, I'm not embellishing on which names those might be and I am NOT giving anymore hints. I'll just continue to let the letters speak for themselves. So, carry on with your guessing. Only time will tell if your guesses will prove correct as more letters are revealed! The second part of our fundraiser, our favorite, has been extremely rewarding to David and me. So far, we have had the honor of conducting two separate prize drawings from among our list of donors. It has been absolutely awesome to be able to give away TWO prizes so far!!! We CANNOT WAIT to give away the remaining thirteen prizes to our future winners. 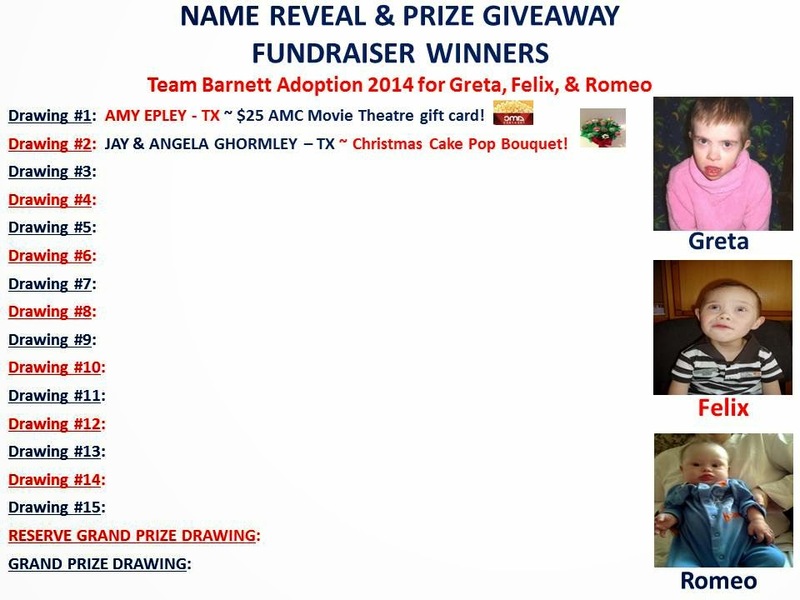 The first prize, a $25 AMC Movie Theatre gift card, was drawn on Monday night and won by Amy Epley of Texas. The second prize, a Christmas Cake Pop Bouquet, was drawn on Tuesday and won by Jay and Angela Ghormley of Texas. When our FSP reads $3668.59, we will draw for the next prize!! I am excited at how much our four prize pots (there are pots for each level of prizes ~ regular, mid-level, reserve grand, & grand) has grown since this fundraiser was launched on Monday. It is humbling & certainly beautiful to see the love that is reflected through each and every single name within these pots. I am completely blessed to know that my Greta, Felix, and Romeo are loved by so many and that they have an ARMY working diligently alongside their mama and daddy to bring them home. Words cannot even begin to describe the emotions that I will have on the day that OUR journey is made complete and we are able to declare these precious children who are wonderfully and perfectly made Orphans No More! Oh what a glorious day that will be!! 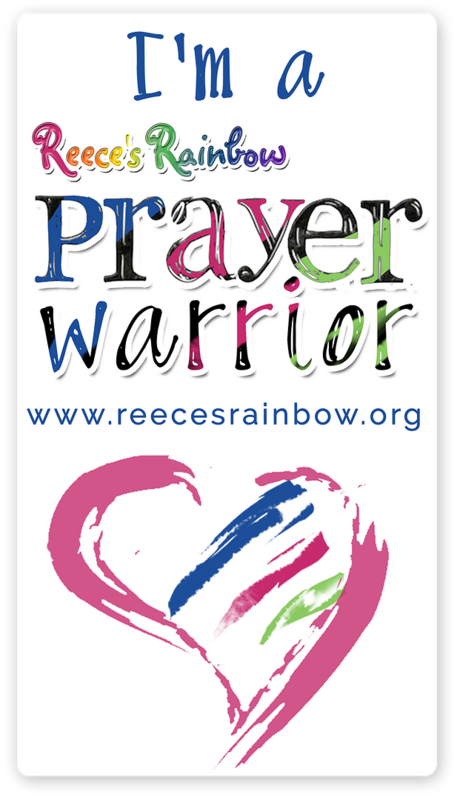 It is also important to mention that we are also honored and grateful to those who have joined our journey through prayer and encouragement. Each of you are just as important. I sincerely mean that ~ from every fiber of my being. We DO NOT take prayer lightly! We know that it has been through the countless number and hours of prayers said on behalf of David, myself, and our family that we have been able to continue on this joureny with the end result always on our minds and completely seared into our hearts. These words, lovingly and earnestly spoken to our God, have been what has sustained us through this whole crazy beautiful journey. For we KNOW and we RELY on the Promise that He made to those of us who have been called according to His purpose. He has promised us a hope and a future. Our family's hope and future is found in adoption and Down syndrome. And, our purpose is to remain obedient to Him in all that He asks of us and in all that we do so that He alone will be glorified ~ for it is not us, but Christ living in and through us. So, from the bottom of our hearts, thank you for willingly joining us on our mission, our ministry, to build our family through adoption and the beauty that is Down syndrome! We are forever blessed and humbled! We really do love each of you.